Two Bears Farm and the Three Cubs: EZwipers - Windshield Wipers Giveaway! EZwipers - Windshield Wipers Giveaway! 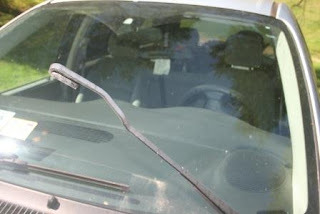 My mouse infested minivan has been in need of new wipers for a while now. I've been reluctant to purchase them, because last time I had an auto place put them on for me, they put on the wrong size. And then a month later I flunked state inspection. And had to buy new wipers. Again. And while I could pick up some myself, the auto parts stores are in weird parts of town that I never really pass by, so I've been putting it off. Well guess what makes all this a LOT easier? 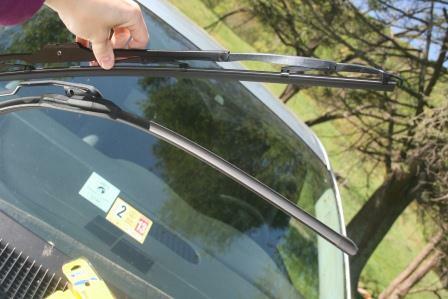 Ordering wipers online from EZwipers. You just type in your car info and place the order and a couple of days later they show up in the mail! Love it! And Ta Da! New wipers installed. Now next time it rains, I won't have smeary spots on my windows anymore. And I tested them out - they fit just perfectly, so no wrong size issues this time around! Everyone needs new wipers, right? How would you like to win a pair for your own vehicle? Just click on the "Read More" under my signature to enter! Disclaimer: I received a free pair of windshield wipers for my minivan. The opinions stated above are my own and were not influenced because I received a free product. glad you can see more clearly where you're going! Chevy Avalanche and I also have a Toyota. We need wipers on both of these.... LOL... it is never ending. 2009 Prius. Maybe I am too dumb to put them on by myself. I'd order for my Ford Minivan. I need whippers for my 04 Pontiac Grand Prix. 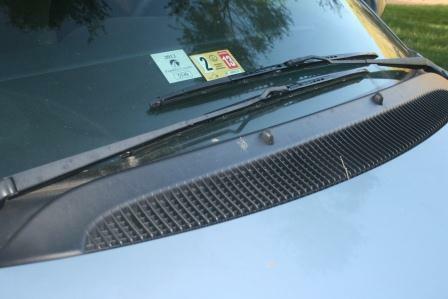 My car is so old it might be hard to find wipers in the store. This sounds like great place to look for them. Oh dear... thanks for this post. It's a reminder of my working week. I am going to have to pass this on to my husband (he takes care of all things vehicle in the family--not because he's a man, but because he knows about cars and I don't). He has trouble finding them to meet his standards. Thanks for sharing! And thanks for following me on Twitter! I think you're my first. I am very, very new at this. In fact, I'm still learning how to navigate it. But I'll learn . . .
Well that's easy enough! I know we've gotten the wrong size before too-many times! Wipers in the mail - who knew? I'd get them for my dad's toyota camry. for my dodge grand caravan! 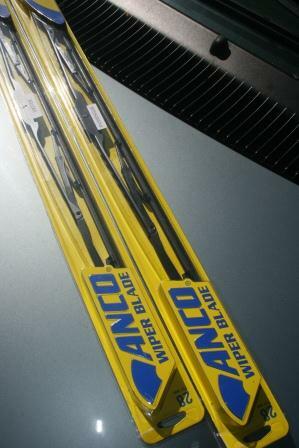 You just reminded me that I need new wiper blades on my car. Last time it rained I couldn't see. Either a Ford Escape or a Subaru WRX. clean windows make the world look different- don't they? I would need them for a Kia Sedona minivan. I would order these for our 2007 Ford Focus. kristiedonelson(at)gmail(dot)com Thank you. I would order blades for my Dodge Intrepid. I would order for my Mazda 6. I'd get them for my Subaru Forester!